A lovely day spent on our beach with my hubby! This looks wonderful, great image. Another awesome shot! great job all around! lovely use of foreground with the pebbles. Great shot, love your pov! Such a lovely shot - I would love to be there ! Lovely and so romantic being with hubby on an empty beach with the fire for company. Must be lovely watching the flames from the fire on the beach. Wonderful image. I love the driftwood fire. Beautiful capture of the campfire. Your beautiful images are so distinctive! This looks wonderfully cozy, and yet a beautiful day! Great point of view and capture. Lovely photo. Like the pastel colours. Looks like your own beach (maybe it is). love the flames always nice to watch. I've never seen a fire like this on any beach. fav. 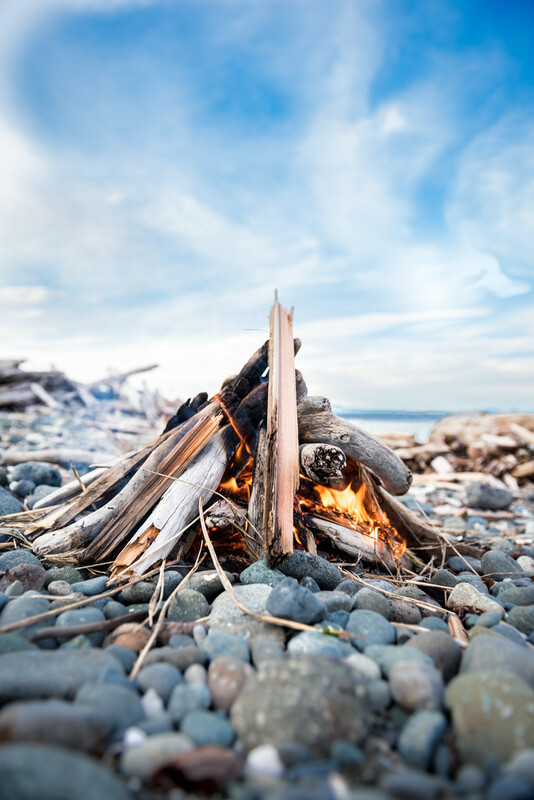 What is it about a fire on the beach that is so inviting? Where's the s'mores? Very nice pov and focus Kim! FAV, love your pov and the beach pebbles. Great capture of the fire and beach. I like the low point of view and since the wood stove is going right now, your beach fire seems to be adding to the warmth. Nice shot to remember you day by. This is so unique - a wonderful image - perfect POV. Wonderful composition - love the colors of the rocks - reminds me of those I saw in Montana. They're all bumpy and grey in Arkansas.